Very often a British man that has been in a relationship with a Thai citizen and now has a baby with her wants his family back in the UK to see his new baby. If the baby is born in Thailand it is important for the father to get his new child a British passport as soon as possible. Most men in this situation would have only married their Thai girlfriend with a Buddhist style marriage. While this looks like he is married, the UK and most other countries on earth do not take this as a legal marriage. If they did marry this way, then the British embassy will view the mother of the child as a partner or girlfriend but not a wife. When the man applies for a UK tourist visa for the mother of his child he can only apply for a tourist visa for a girlfriend. Most people would think that the British embassy would look at this application with favour, after all a relationship can be proved beyond doubt. While this is the case the embassy takes the view that when in the UK the Thai mother will have little to no reason to return to Thailand. From experience they could assume that when in the UK the British father will want his child and mother of his child to remain in the UK. When making a UK Tourist visa application, part of the application is demonstrating that the Thai citizen will return to Thailand at the end of the visa period. Having a child with a Thai lady will demonstrate a relationship but will give good reason for the Thai citizen to remain in the UK. If the father takes the easy route and decides to take only his child to the UK, the problem he may face is that the Thai mother could believe that when he gets to the UK he will not bring the child back to Thailand. The sad truth this happens all of the time and Thai ladies hear stories from their friends. No mother wants to lose her child and as much as she may trust the father, this may be a risk she is unwilling to take. If the father was to remain in the UK with the Thai child, she would be virtually powerless and would not be able to get her child back. 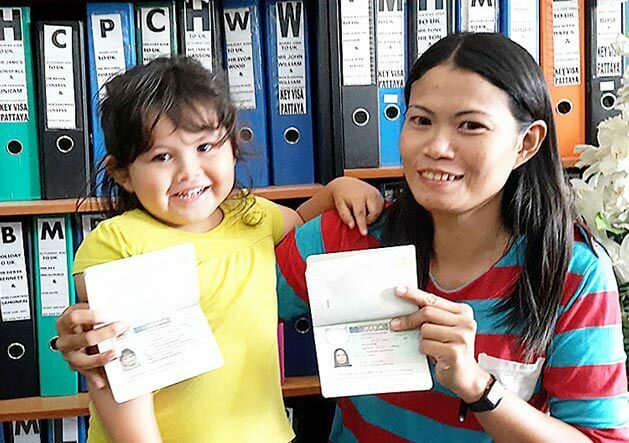 The moral to this story is, if you have a child to a Thai lady and you are looking for them to travel to the UK, having a child will not make it easier for you to get a visa for your Thai girlfriend. Quite the opposite.